The slapdash nature of US President Donald Trump's second summit with Kim Jong-un was exposed as American journalists were abruptly evicted from a Hanoi hotel housing the North Korean leader and key details of the meeting remained a mystery. The White House has set low ambitions for tomorrow's talks, hurriedly organised after Mr Trump announced the summit on February 8. The two sides haven't even agreed on the meaning of denuclearisation or the ultimate purpose of the talks. Before Mr Kim's arrival in Hanoi on Monday, Vietnam's foreign ministry announced the White House media centre would have to move from the Melia hotel where he is staying. The White House offered no explanation for the move, which forced news organisations operating from the hotel to pack up and relocate several streets away. Mr Trump is due to dine with Mr Kim this evening after meetings with Vietnamese leaders, White House press secretary Sarah Sanders told reporters travelling with the president on board Air Force One. She didn't say where the two men would have dinner today, and the White House also hasn't said where they will hold their formal summit tomorrow. Mr Trump will be joined at dinner by his chief of staff, Mick Mulvaney, and Secretary of State Michael Pompeo. Mr Kim will also be joined by two aides, Sanders said. Ms Sanders complained on Fox News last week that the American media had manufactured "high expectations" for the summit. Mr Trump has sought to lower public expectations as well, telling state governors on Sunday he has no intention of lifting harsh US sanctions on North Korea and isn't pushing for a hasty deal with Mr Kim. 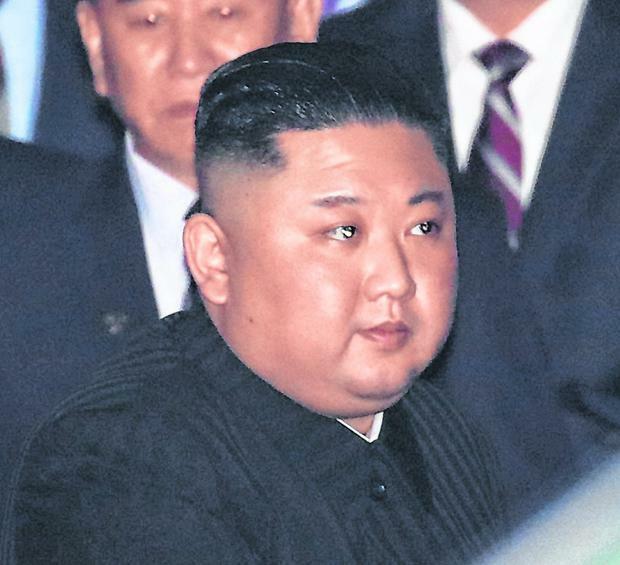 Failure to win substantial concessions from Mr Kim risks turning a dramatic moment into a public disappointment for the US president, who is making his second trip to the other side of the world to try to convince Mr Kim to give up his nuclear weapons. After agreeing to cease military exercises with South Korea after their first summit without anything substantive from Kim in exchange, Mr Trump's critics fear the president may again be talked into a US concession. "This is where the president's unpredictability, his impulsiveness, his inclination not to prepare for meetings could get us into trouble," said Victor Cha, the Korea Chair at the Centre for Strategic and International Studies, whom the Trump administration considered nominating for ambassador to South Korea. Talks between Washington and Pyongyang have been deadlocked since the two leaders' first summit in Singapore last June. North Korea has continued to build warheads and missiles, according to satellite-imagery analysis and leaked American intelligence. Speculation before the second summit has focused on steps the two countries could take to show warming relations while avoiding the sorer points in their nuclear negotiations. 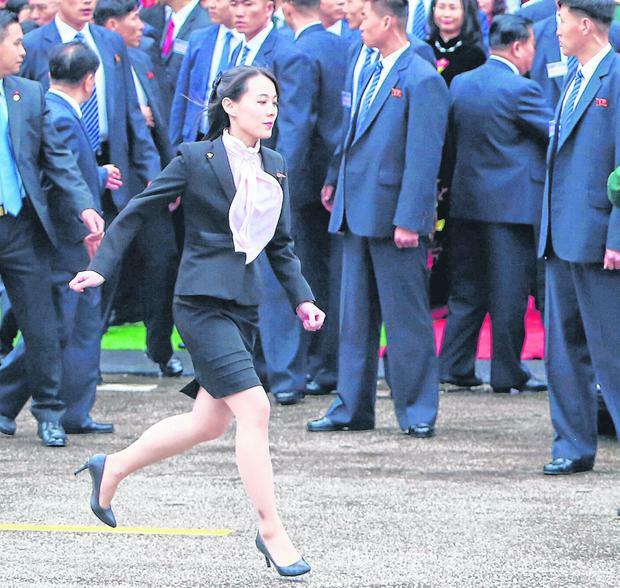 In Hanoi, the government has festooned the city with US, Vietnamese and North Korean flags and branded the summit as a "partnership for sustainable peace". One significant possibility is that Mr Trump and Mr Kim will conclude their meetings tomorrow with a declaration that their countries are no longer at war, a non-binding political statement that won't officially replace the 1953 Korean War armistice. Some critics worry that a peace declaration - which would come more than 65 years after the armistice agreement that ended the Korean War - could erode the American justification for stationing about 28,500 troops in neighbouring South Korea. That might not be of particular concern to Mr Trump, who has openly questioned the cost of the large US troop presence and recently forced the negotiation of a new cost-sharing agreement with South Korea. Mr Kim could agree to allow a US diplomatic liaison office in Pyongyang, a US goal dating back to Bill Clinton's administration. But the North Korean regime has resisted, figuring the US would use the outpost to expand its intelligence-gathering in the country. This summit may test Mr Kim's willingness to break from the past.